CHECK OUT MY FREE GIVE AWAY HAPPENING NOW THROUGH JUNE 4TH!! I'M GIVING AWAY A CRAFT BOOK TO TWO LUCKY WINNERS! CLICK HERE FOR MORE INFORMATION. On a recent visit to the pediatric dentist, we found out that, according to x-rays, Mr. P's baby bottom teeth should be wiggling loose in the next few months. This was big news! It called for a sewing project. 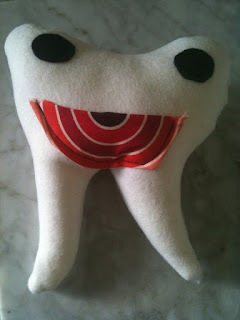 I present you with the Tooth Pillow Tutorial: A tooth-shaped plushie with a pillow mouth to store teeth in. There's lots of wiggle room here (pun intended) for variation. You can get fancier with the eyes and general facial expression by gluing, instead of sewing these pieces on. 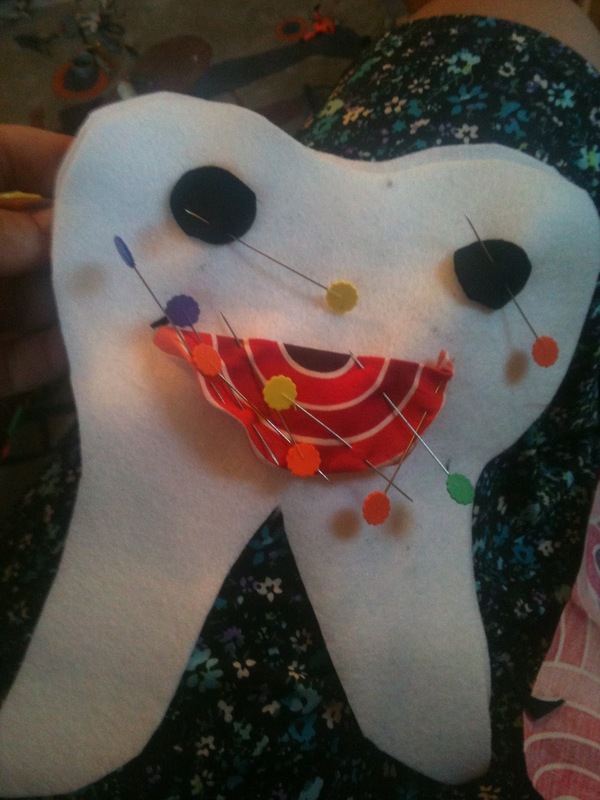 The mouth should be sewn though, in order to create a pocket for the tooth. 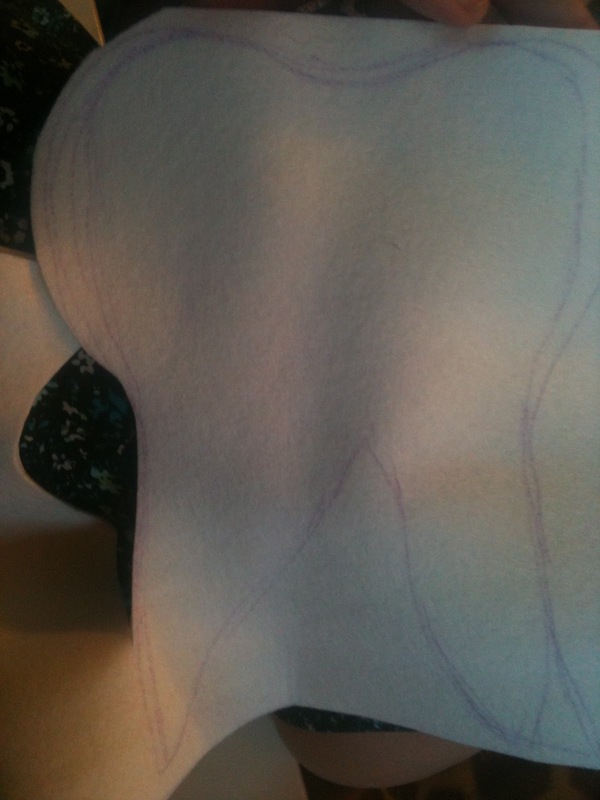 Sketch the shape of your tooth onto the white felt using a fabric marker. Cut out two pieces of this tooth shape. My tooth ended up being about the size of my hand, so the shape I cut out was about two inches wider than that. 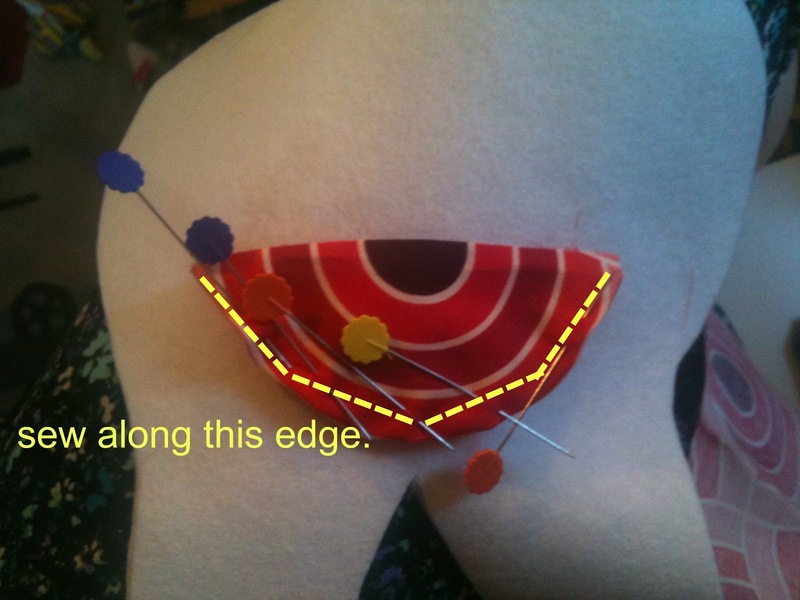 Using one piece of tooth fabric, pin and then sew a semi circle along the edge I've indicated. You'll want to leave the top open as this will serve as your pocket. Carefully turn your tooth inside out. Because those roots are narrow, I used a capped pen to help push them right side out. You may have a fancier tool. Fold material inward and hand sew the two inch gap together. Using a string, attach your child's tooth to the nearest doorknob and slam! Just kidding! Patiently wait for your child's loose tooth to fall out and have them place their tooth in the pillow! As the tooth fairy, what do you give your child??? What a cute and huggable tooth! Love the rainbow smile! this is super cute. THanks for sharing.